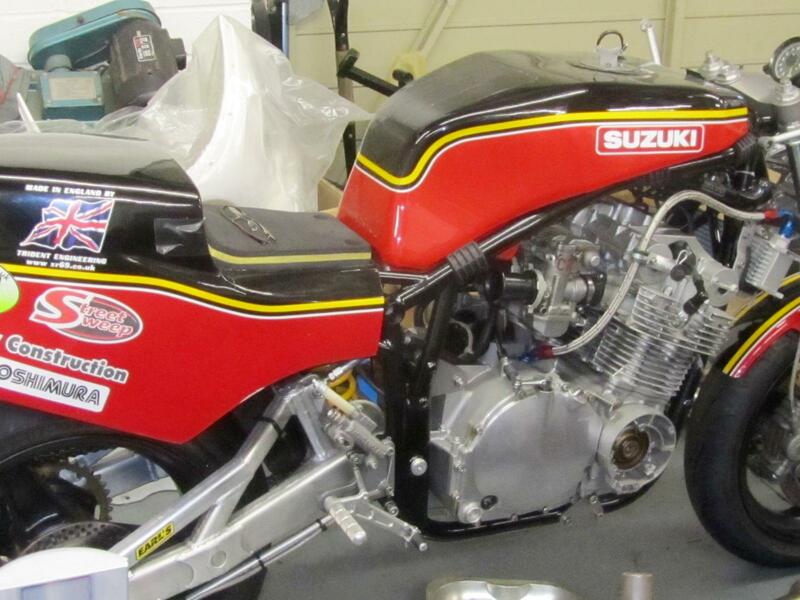 Suzuki XR69 – A collection of Posts from my blog about the Suzuki XR69 race bikes built by John Sim at his Silverstone workshop. 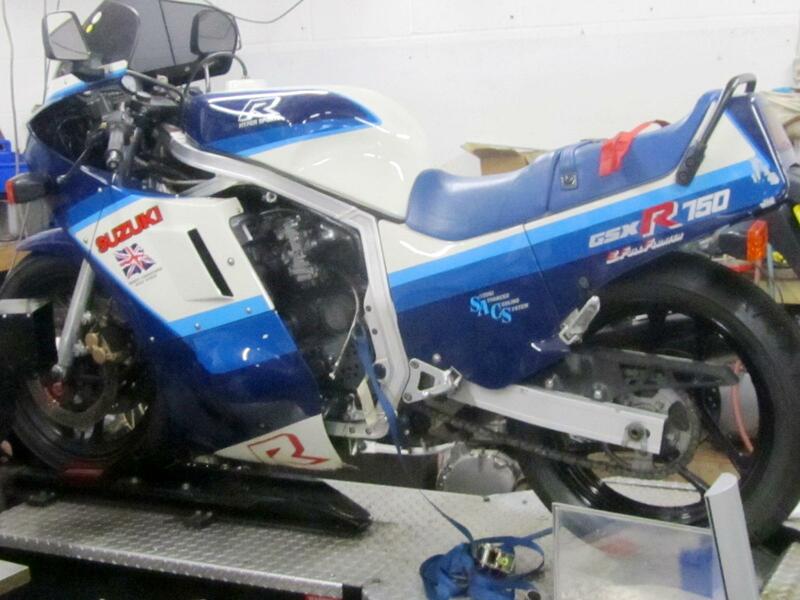 25/11/2011 – Post – Suzuki GSX-R Factory. 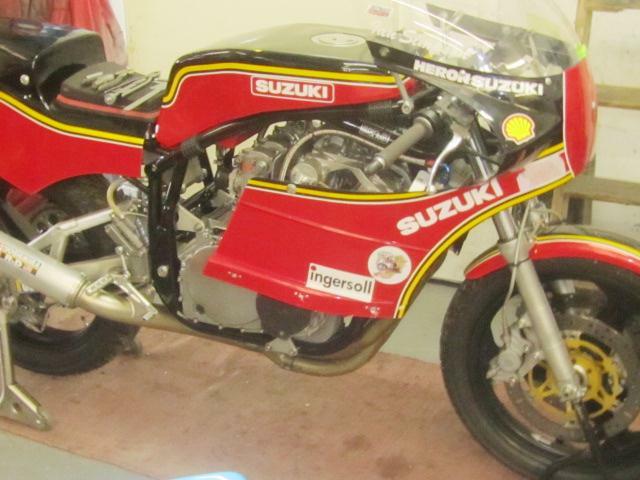 With three classic GSX-Rs in various stages of disarray and shipping date for the South Africa Winter Series of races very close it’s all hands to the pump to get them ready in time. I nipped down to the Silverstone today to collect one of the motors that has been rebuilt and took the opportunity to steal a few photos when I was there. 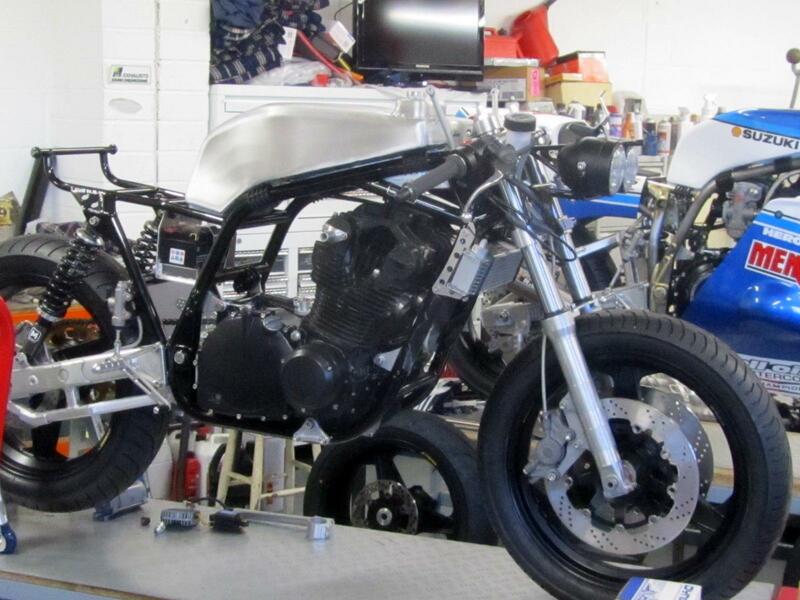 The two bikes that gave Michael Dunlop trouble at the Manx Grand Prix this year were both in the Silverstone workshop. 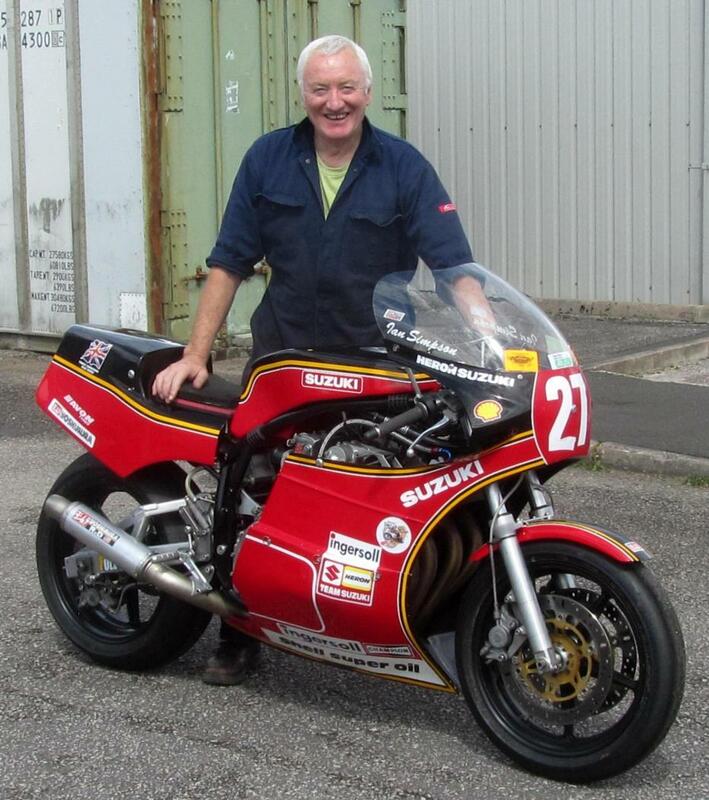 This is the bike Michael won the Manx on last year. 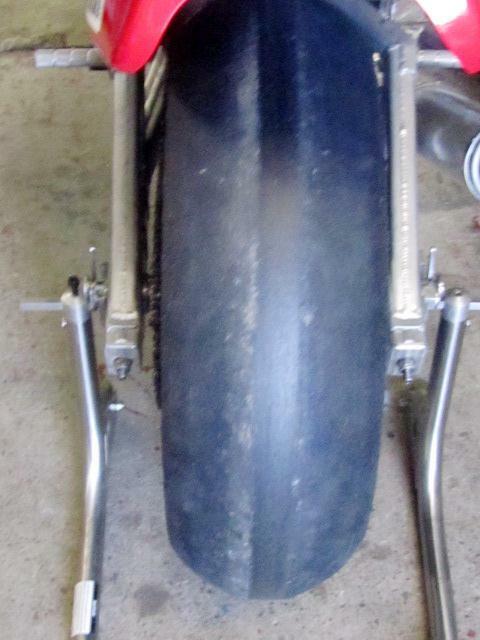 It was pressed into service for this year’s race when the 2011 bike gave trouble in practise but didn’t finish. The blue bike was for this year’s Manx Grand Prix. 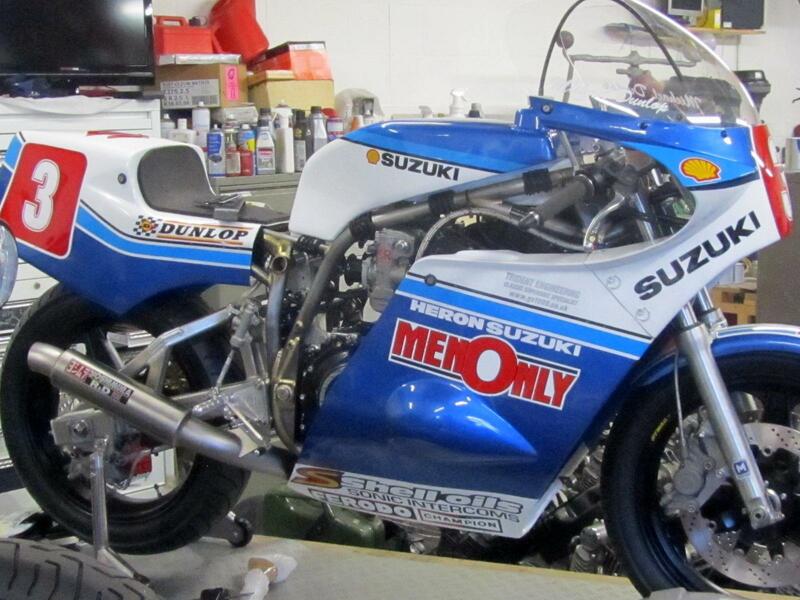 Michael has clocked 120mph laps with these bikes. 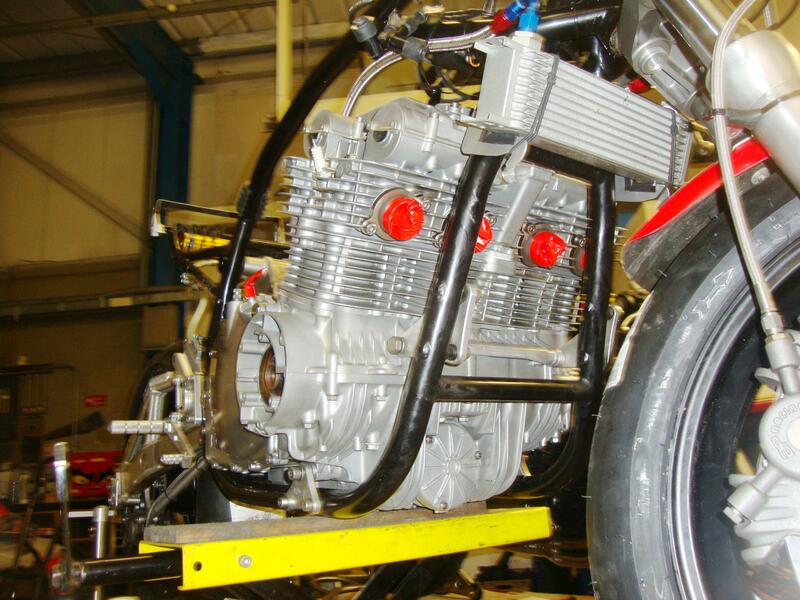 and this one with the Maxton twin-shocks is being built complete with Dominator lights for Endurance racing. I’ve got the same lights on my gixxer. 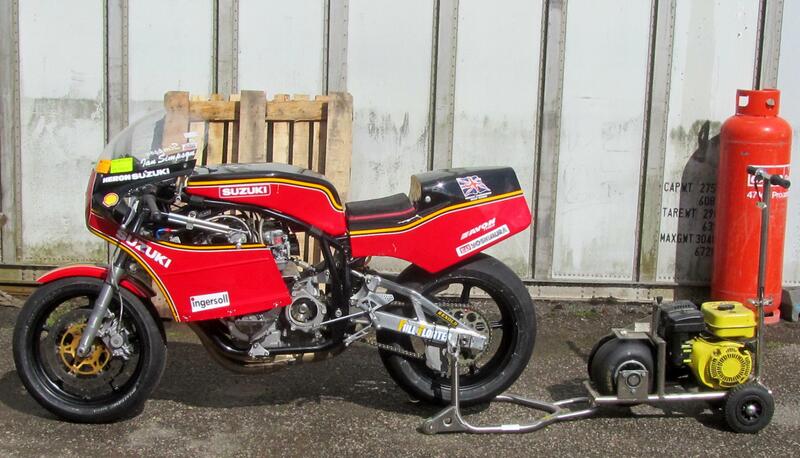 I hope the rider isn’t depending on them to light the track at speed. 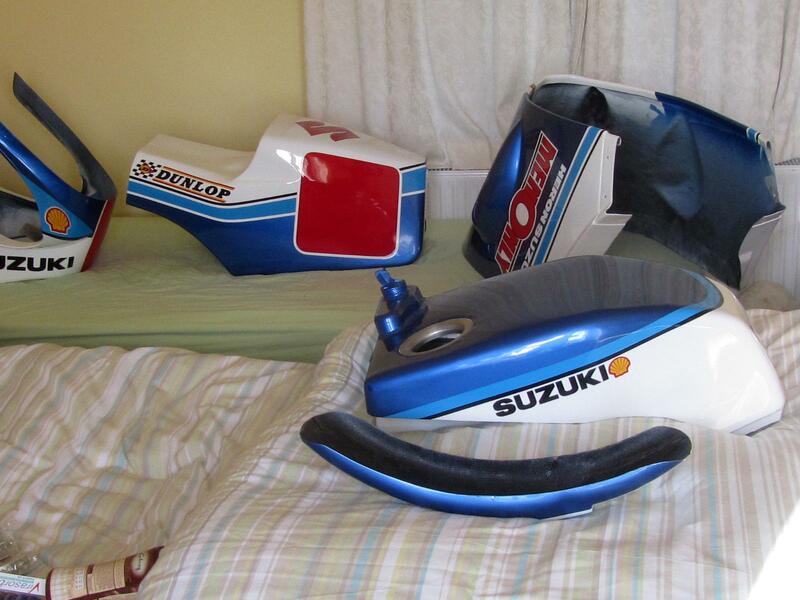 It’s one thing to love your Suzuki but to sleep with the bodywork is taking things a bit too far! 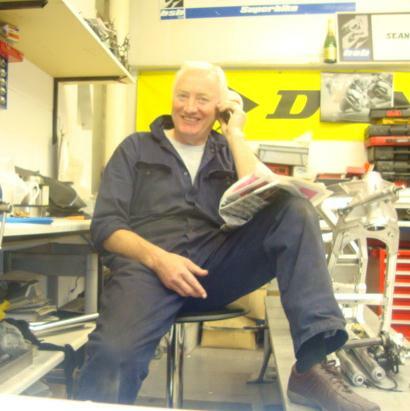 That aircooled GSX-R thou is a big lump of a motor – bet yesterday from Silverstone was the first time one has been carried in the boot of a Smartcar but she’s home nae bother and we bolted her into the frame this morning. Did I mention the traffic on the M1? Absolutely horrendous Friday afternoon. All it needs is a minor collision and those Traffic Management people in their highly painted 4X4s manage to make a drama out of a crisis. Clearing the road appears to be the least of their concerns. Just the iron-mongery to fit and she’ll be ready for the crate. 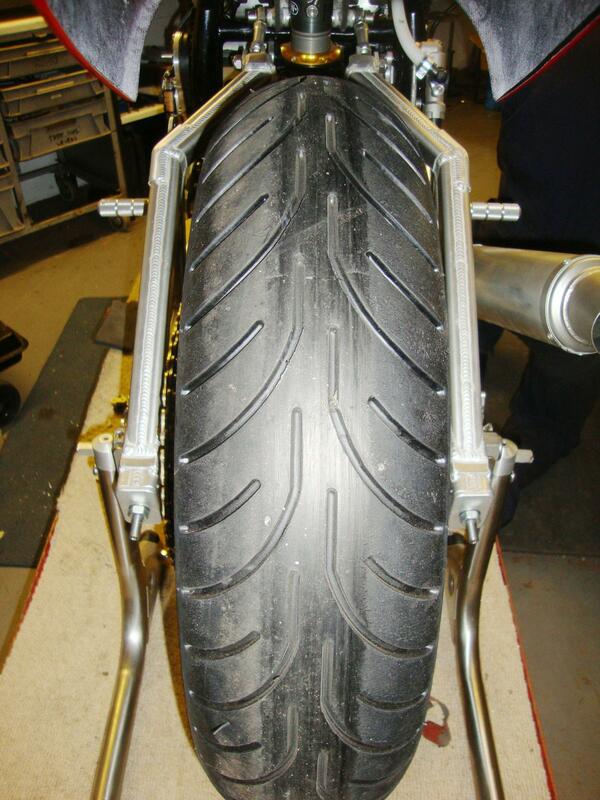 The standard fitment is 18 inch rear with a treaded tyre — but if the rules allow – a 17ins wheel with a 180mm slick can be shoe-horned in – just! The crates are due to be collected Tuesday for shipping to South Africa. Looks like Monday might be a busy day. No she isn’t pulling a trailer although she has enough ‘grunt’ to do it. That’s the starter behind her which works by driving a motor driven rubber tyred wheel against the rear tyre of the XR69. 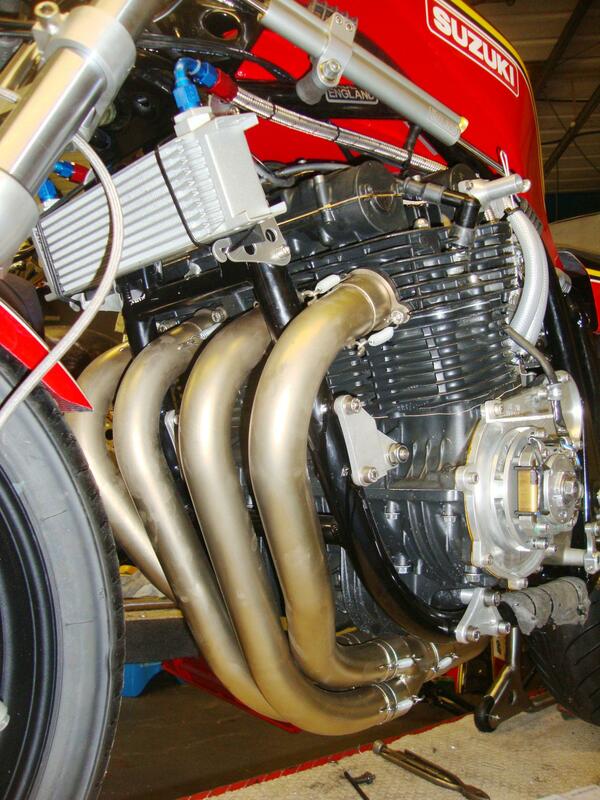 Get up to speed – engage gear on the XR69 and Bingo! She will fire up! 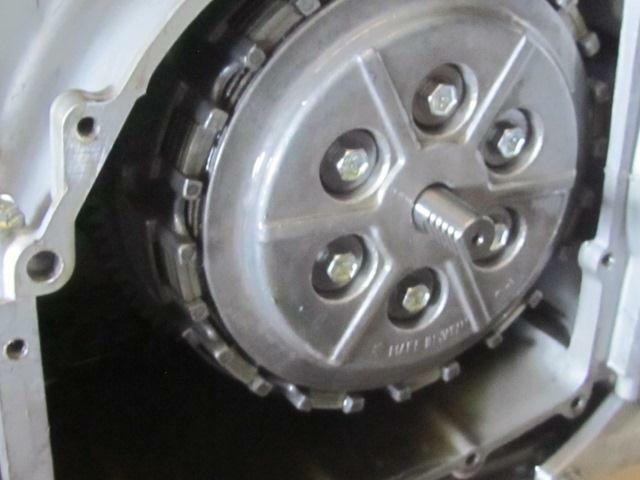 Namely – getting clearance between the final drive chain and the edge of that wide 190 tyre.